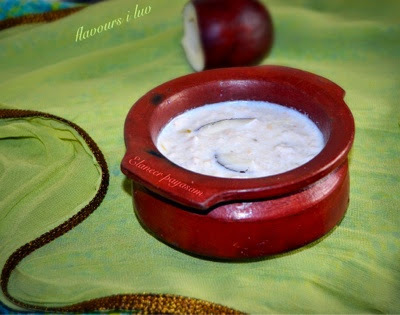 Elaneer payasam recipe is very simple and less time consuming, but it's tastes heavenly. Boil whole milk then pour condensed milk, when it becomes thick switch off the flame. Allow it to cool, then add coconut milk and cardamom powder into it and mix well. Grind 3/4 part of coconut flesh along with enough coconut water, add this paste to the milk mixture. Chill the payasam atleast for 30 minutes and serve. wow , this is a completely new recipe for me. 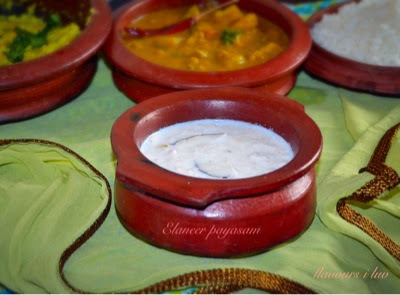 I too like coconut kheer and even shared recipe at my site. My method is different from yours. I like your handi collections.